In addition to Advarra’s mission to protect the rights and welfare of research participants, we are committed to sharing experience and expertise with the research community to promote professional development, discussion and collaboration. Advarra® offers training options for any need. Free webinars feature expert content on numerous IRB-related topics, and custom training sessions can be tailored for specific requests. The Advarra Connections series brings research compliance experts into the community with free symposiums at locations nationwide. 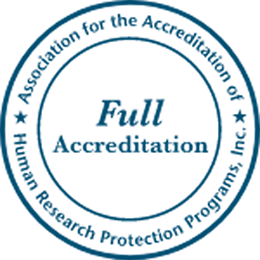 The Advarra team includes IRB professionals who are active in the advancement of human subject protections and research compliance. Team members have served on the Department of Health and Human Services (DHHS) Secretary’s Advisory Committee on Human Research Protections (SACHRP) Committee, steering committees for SMART IRB and the Clinical Trials Transformation Initiative (CTTI), the ACRP Professional Ethics Committee, PRIM&R and AAHRPP conference planning committees, the AAAHRPP Board of Directors and as AAHRPP site directors. Members of the Advarra team also helped found the Greater Cincinnati Chapter of ACRP. Advarra’s experts present regularly at local, regional and national conferences, and have co-hosted an annual human subject protection conference in the Greater Cincinnati area since 1998. Leaders at Advarra also regularly contribute to industry publications.